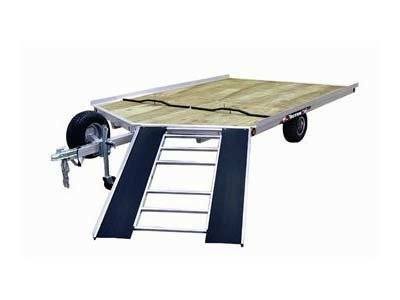 Triton's XT10VR-101 aluminum trailer is a two place trailer with a ramp plus a v-nose. It's lightweight and smooth to haul, it wont even feel like its there. The XT10VR-101 come with many standard features like a rubber torsion axle, marine grade plywood deck, sealed lights and wiring and a all aluminum frame. Also multiple accessories can be added to you trailer to make it versatile.